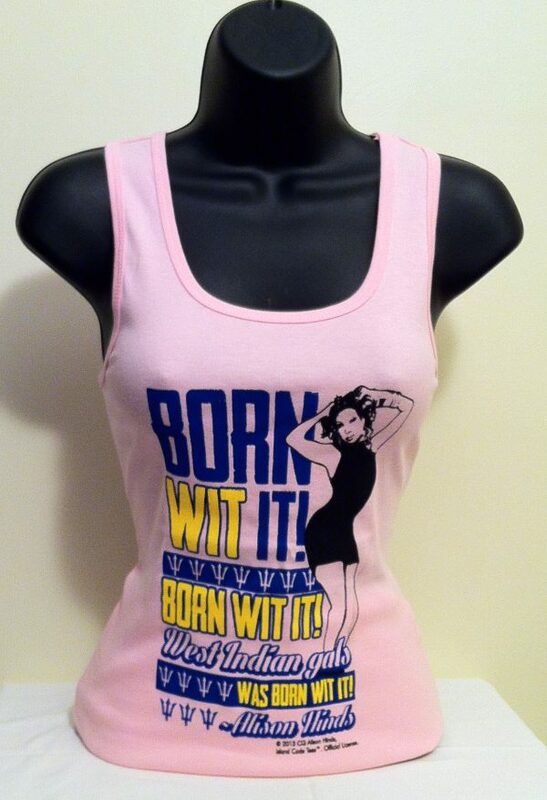 Caribbean Queen Alison Hinds Official Born Wit It Lady’s Pink Tank Tee, 6.1 oz. combed, ring-spun cotton. Super soft 1 x 1 baby rib knit fabric. 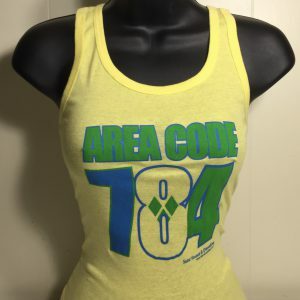 Scoop neck. Bound-on self trim on neck and armholes. 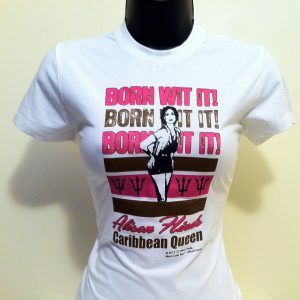 Side seamed with custom contoured fit that clings to the body. 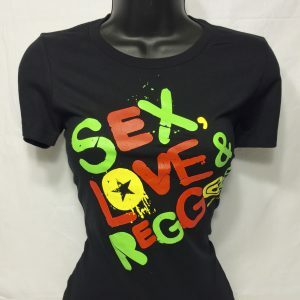 Double needle hemmed bottom.. designs are 100% silk screen Two Color print, made in USA Design by Island Code Tees Caribbean Apparel Co.Black Coral International , Official License 2013, $30.00 Plus USA, Shipping Cost.